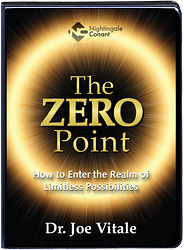 Yes, I want to reach the Zero Point and receive everything. 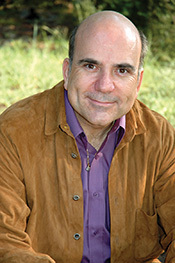 Please send me Dr. Joe Vitale’s program The Zero Point — including the 6 CDs, Bonus Relaxation and Sleeping CD, and Writable PDF Workbook - for the LIMITED TIME OFFER of just $79.95 - which is 50% OFF the regular program price. If this program isn't life-changing, I can return it any time within 30 days for a full refund. No questions asked.